【Minecraft】【LEGO】 Let’s play with Lego No.21123! We usually play Minecraft on PC or ipad. Lego sometimes helps us to get back to the real world! My family likes Minecraft series of Lego so much and we received new Minecraft Lego 21123 I ordered on Amazon today. It’s so exciting. I built it with my 4 year old son. It’s too hard to build it for 4 year old kids. But this product has just right volume of pieces to build for little kids with parent’s help. We can’t see the Iron Golem yet from the above picture, can we? There are only iron of blocks and pumpkin/Jack o’lantern. Actually, they have a wonderful gimmick in it. When we open the ground, we can see the Iron Golem hiding under the ground, and we can pull him up and make him spawn! This gimmick is really cool. It’s really fun with it and my son is happy to play it. The gimmick works to pretend playing Minecraft by hands. Besides the Iron Golem, it has Alex, a Zombie, and a pig. The pig is cute and tiny. I love animals in Minecraft. I was satisfied with this LEGO 21123 and highly recommend it! 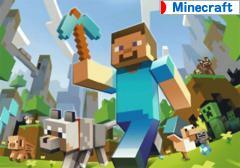 Previous Post:【Minecraft】【LEGO】 Let’s play with Lego No.21126!